Niagara IceDogs have won seven straight to pad their lead atop the Central Division. Beasts in the Easts – The top three teams in the Eastern Conference are rolling, Ottawa (6), Niagara (7) and Sudbury (3) have won a combined 16 straight. Oshawa lost three straight games last weekend but are certainly still in the mix, just one point back of Sudbury. Special teams in Sudbury – Wow special teams aren’t everything, but rarely do you see a team with the second worst powerplay doing as well as the Wolves have been, that’s because of great goaltending and a strong penalty kill. They have the third best record while down a man this season. Kingston can’t score – The Fronts have really struggled as of late, losing their last six games. With just six goals in their last eight games, it’s easy to see why they’ve struggled to win games. Flint might not finish last, and they REALLY need to – It seemed like the Flint Firebirds were a lock to finish last in the OHL, but that’s no longer a certainty. With the Firebirds improving, and Kingston really falling off, it’s looking more and more like Flint could catch the Fronts to get out of the OHL basement. But is that a good thing for Flint? I’m typically against teams tanking to get a better draft pick, but this case might be different. The first overall pick will almost certainly be Shane Wright, given he receives the exceptional status many expect him to. That means he would have to report to Flint if they drafted him, and the Firebirds could sure use this kind of talent on their team for a number of reasons. Storm captain Isaac Ratcliffe is leading his team up the Western Conference standings. Ratcliffe leads Storm – Guelph captain Isaac Ratcliffe has the longest active point streak in the OHL at 13 games, with 14 goals and 22 points in that stretch. The Storm won eight of those 13 games. Stephen Dhillon – The IceDogs have won seven straight and their starting goaltender is a big reason why. Dhillon has won six straight starts, posting a .941 save percentage with a shutout. That included a 49 save performance as well. Ivan Prosvetov – With losses to Ottawa and Guelph with week, Prosvetov has lost back-to-back starts for the first time since early December. That’s a stretch that saw him win 13 of 14 games. Owen Sound’s Wednesday game – Owen Sound is no stranger to extreme weather, and mother nature certainly made her presence known again this week. Despite having one of the most loyal fan bases in the league, bad weather and road closures prevented many of them from getting to the game Wednesday night. The OHL website says 2730 fans were in attendance for the game against Kitchener, but according to Fred Wallace that actually number was less than 500. You can hear the voice of the Attack talk about the game, and the conditions, on the Around The OHL Podcast. Felhaber – You need to be consistent to keep up the pace that Felhaber has this season, with 51 goals in 49 games. The overage forward hasn’t went more than two games without scoring a goal this season, and he’s only failed to score in back-to-back games on three occasions. 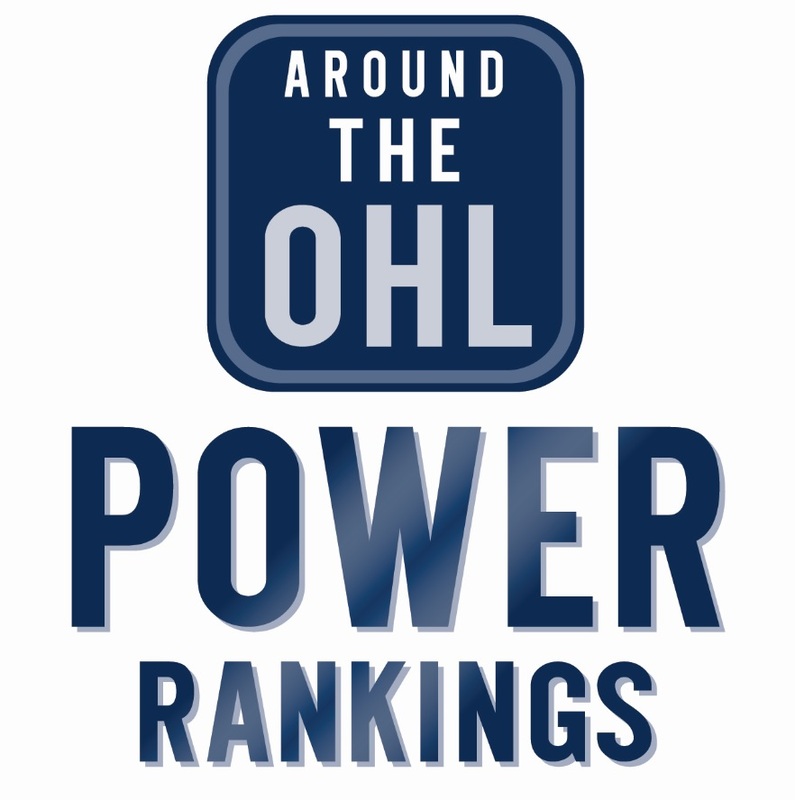 Holy Hollowell – Another great season from an overager, lead all OHL Dmen in scoring with 16 goals and 54 points, with 5 goals and 16 points in his last 13 games. Brock McGillis – If you don’t know the name, you should. The former OHLer is doing great things in and around the game. Hear Brock share his story on the latest episode of Around The OHL. Tags: Brock McGillis, Flint Firebirds, Guelph Storm, Isaac Ratcliffe, Kingston Frontenacs, Liam Foudy, London Knights, Niagara IceDogs, Ottawa 67's, Owen Sound Attack, Saginaw Spirit, Sault Ste. Marie Greyhounds, Stephen Dhillon, Sudbury Wolves. Bookmark the permalink.